What Does Smartphone Encryption Mean & How Does it Work? The use of smartphones is rampant nowadays. With this widespread use also comes a very serious threat; that of the smartphone falling into the wrong hands, or certain applications being hacked to obtain data. This is precisely why the use of encrypted smart-phone is all the rage. Smartphone Encryption – what should you know? People who are careful about securing their phones and hence protecting all information on it are often labeled as paranoid. Nevertheless, the fact remains that at the end of the day, in case of any hacking activity, the diligent commitment to security is what keeps the data safe! Haven’t we all heard the age-old adage: better safe than sorry? Encryption is basically a way of encoding all the information that is contained on your phone. Only a person who knows the key will be able to view and use information by decoding it. The good thing is that encryption software is so advanced and complex, it’s virtually impossible to break the code! In order to better understand the concept of encryption, think of the games we’ve all played as children in which “code words” or “secret languages” were developed for covert communication. These codes were as simple as shifting each letter of the alphabet forward by two, so, for instance, A becomes C and B becomes D! Extremely simple for the children who know how to crack it, but apparently senseless gibberish for those who don’t! Encrypted smartphones work on the same principles more or less, nonetheless, the codes applied for the purpose are much more complex and thus almost impossible to crack. For encryption to truly work, it is important that a strong key is chosen. While it might be a little cumbersome to enter a complex key every time, it will also grant you peace of mind knowing no one can get their nose into your precious information! Encrypting your phone comes with a huge advantage of the privacy of information. Needless to say, with the advantages there are also disadvantages to encrypting your phone. 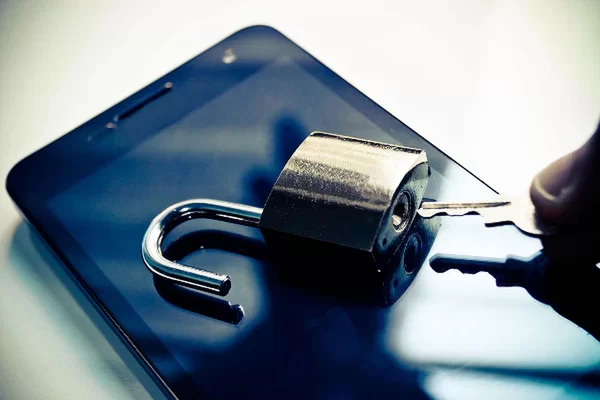 Let’s consider the pitfalls that come with encrypting an Android device – I mention Android specifically as every phone system operates a different way. So Apple and Android, for example, will be effected in dissimilar ways. Performance: Post-encryption, the performance of the phone declines a little. Still, encrypting is better than an unsafe, fast performing phone! One way: This is a major issue. Encryption isn’t something you can opt for one day and then just revert back from the next. The only way to go back is to factory reset your phone which everyone can acknowledge is quite annoying as all settings and all information are wiped out. Time Involved: The process of encryption itself takes about an hour. Whenever you do decide to encrypt your phone, make sure it’s fully charged and that you have plenty of time on your hands! Now that you’ve seen the pros and cons of encrypting your phone – choose wisely!